Tickets are available at the door for this event. Contact The Gilmore Box Office via email at boxoffice@thegilmore.org OR by phone at 269.359.7311. ZHANG ZUO ("Zee Zee") began her musical training in Germany at the age of five. Upon returning to her native China, she became one of the most sought after young artists in the nation, collaborating with the leading Chinese orchestras, with whom she retains a close link. 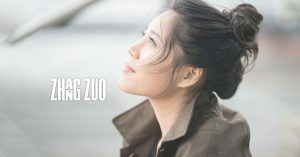 Having completed her piano studies with Dan Zhao Yi at the Shenzhen Arts School, "ZEE ZEE" was invited to continue her artistic development under the mentorship of Nelita True at the Eastman School of Music and Yoheved Kaplinsky and Robert McDonald at The Juilliard School, where she won the coveted Petschek Piano Award.